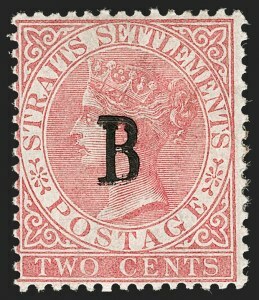 FINE AND EXCEPTIONALLY RARE EXAMPLE OF THE 2-CENT BANGKOK WITH TREBLE "B" OVERPRINT. 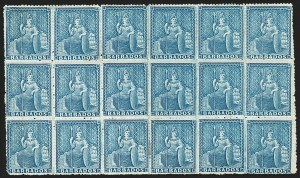 ONE OF THE RAREST BANGKOK OVERPRINT ERRORS WITH JUST A FEW EXAMPLES KNOWN. 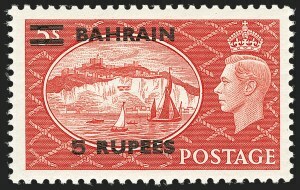 IT IS ALSO THE ONLY VALUE FROM THE SERIES THAT EXISTS WITH A TRIPLE OVERPRINT. 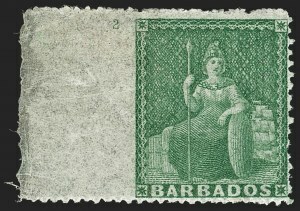 While partial "double" and "triple" overprints exist on numerous values, in order to be classified as a "true" error, there needs to be clear and complete separate overprints. 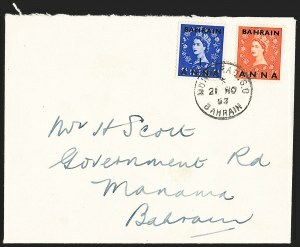 The example offered here has just that - three identifiable strikes of the "B" overprint. VERY FINE OVERALL AND ONE OF THE FINEST OF THE FEW RECORDED EXAMPLES OF THIS BISECT. 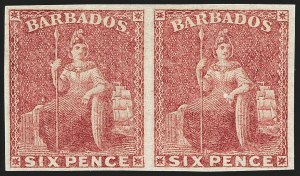 The 2p stamp was authorized to be bisected from August 4 to September 21, 1854, during a shortage of 1p stamps. VERY FINE. 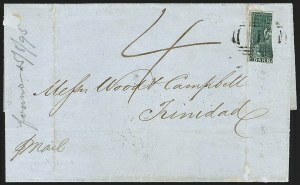 AN IMMENSELY RARE BLOCK OF FOUR OF THE 1859 6-PENCE DEEP RED ROSE. 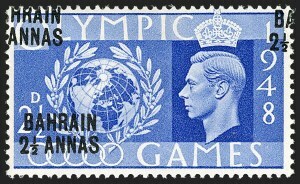 Only a couple blocks of this stamp are recorded. VERY FINE. 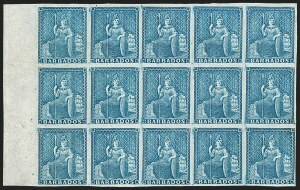 A RARE BLOCK THAT IS ONE OF THE LARGEST KNOWN MULTIPLES OF ANY IMPERFORATE STAMP OF THE 1861 ISSUE. VERY FINE PAIR OF CARICATURE COVERS. 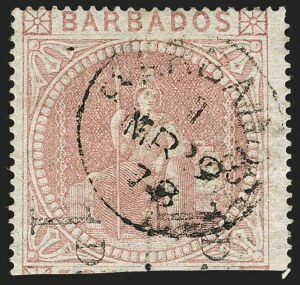 THE USE FROM BARBADOS IS PARTICULARLY RARE AND DESIRABLE. VERY FINE. 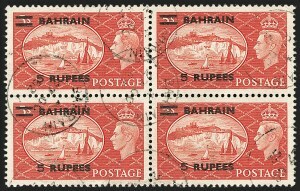 ONE OF ONLY THREE SETS PRODUCED, ONE OF WHICH IS IN THE ROYAL COLLECTION. The 26th Earl of Crawford, James Ludovic Lindsay, was an important and influential collector at the turn of the 20th Century. He amassed a huge holding of proofs, both from the United States and various British Colonies. 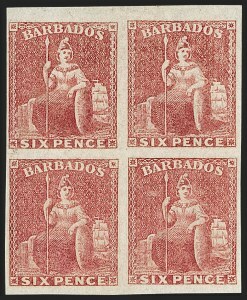 He obtained from contemporary printers three sets of trial color proofs of various colonies, including Barbados. 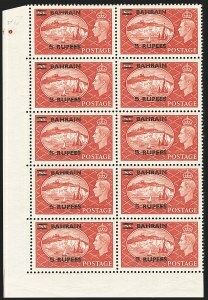 He gave one set from each colony to the Royal Collection, leaving just two sets of each colony available for future collectors.